Copper cups to hold a boozy Moscow Mule are coming not to the local hipster craft cocktail joint down the street, but to your local Buffalo Wild Wings. Yes, a Buffalo Wild Wings. Inspire Brands CEO Paul Brown — the former Arby’s turnaround champ turned leader of a fast-food kingdom that now includes Arby’s, Buffalo Wild Wings and Sonic —shares with Yahoo Finance the long-awaited changes that are about to hit 1,200-plus Buffalo Wild Wings restaurants. Rejoice, 21-year-old beer drinking March Madness bro. Some changes are as simple as the aforementioned copper cup as well as new uniforms and training for servers, both of which are meant to upgrade a dining experience that deteriorated under prior management. Others run as deep as removing items from the once exorbitant menu to improve costs and make it easier for customers to read. Oh, and to emphasize new shareable food items and drinks. Even the menu looks sleeker — think new local bar/pub as opposed to a Chili’s that happens to have a bazillion TVs playing sports inside. Brown’s goal with these Buffalo Wild Wings changes (and new sandwiches at Arby’s and foods at Sonic): increase sales from an already impressive $12 billion in 2018. If there is a theme to what Brown has built at private equity-backed Roark Capital since joining from Hilton in 2013 it is identifying beloved restaurant chains that just need some TLC. In finance speak, it’s seeing potential turnaround plays whose current market value doesn’t reflect a turnaround. Nowhere does that philosophy align more with than at Buffalo Wild Wings. Amid pressured sales and profits for much of 2016 and 2017, Buffalo Wild Wings found activist investor Marcado Capital calling in 2017. 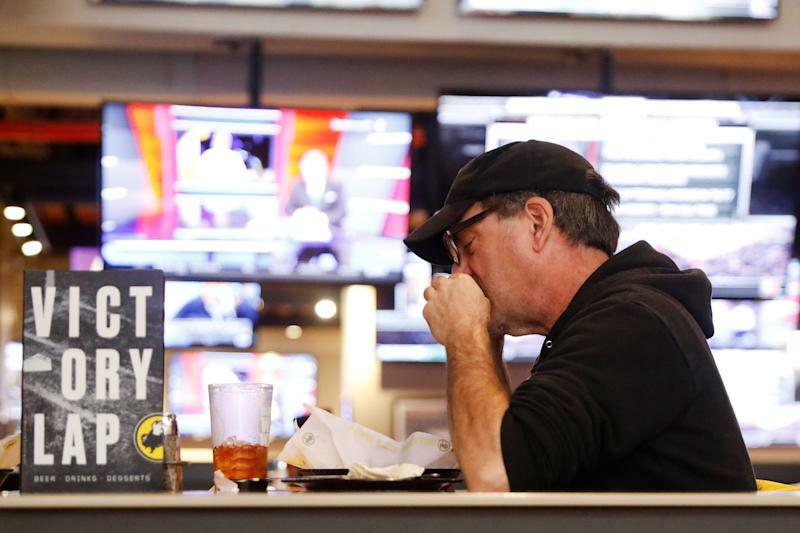 The activist investor pushed long-time Buffalo Wild Wings management to sell off the restaurants it owned to boost cash and overhaul its flagging operations. Buffalo Wild Wings executives were resistant to both and with its stock price under pressure, the company decided to sell to Roark Capital-backed Arby’s in late 2017. The sticker price didn’t come cheap — $2.9 billion. Brown and his team have since been working to figure out who the core Buffalo Wild Wings customer is and how best to serve them. That’s in addition to retraining workers and bolstering operations, since nobody wants to wait 30 minutes for wings on game day (slow service has been a problem). Brown concedes the turnaround at Buffalo Wild Wings will take time — he is hesitant to say same-store sales for the entire chain have turned positive. But better marketing alone may be working to get people re-engaged with the chain. 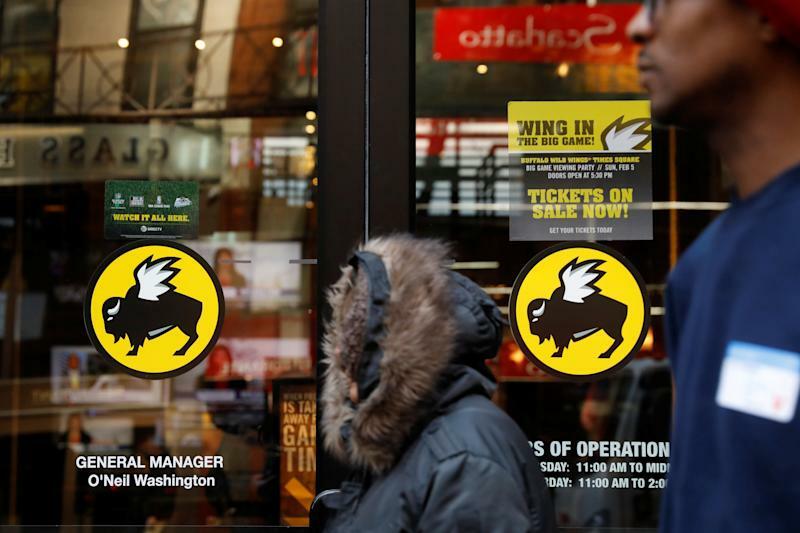 Diversified Restaurant Holdings, a publicly-traded restauranteur that operates about 64 Buffalo Wild Wings as its main investment, saw fourth quarter same-store sales rise 2.2%. “Next time you walk in one of our sports bar, I'm confident that you will see and feel the difference,” crowed Diversified Restaurant Holdings CEO David Burke on a March 8 call with Wall Street analysts. Burke credited improved marketing by franchisor Inspire Brands for the sales bump. The next logical step for Inspire Brands, with Arby’s still doing well, Buffalo Wild Wings revival progressing and initiatives to jolt Sonic up next (Inspire bought Sonic in September 2018 for $2.3 billion) is to maximize value via an initial public offering. While some on the street have speculated Inspire Brands is eyeing an IPO, Brown didn’t sound like one is imminent. It makes sense to hold off. It’s best to pitch a vibrant, successful turnaround story to potential investors as opposed to one where everything isn’t yet firing on all 12 cylinders. In the meantime, pass the copper cup.